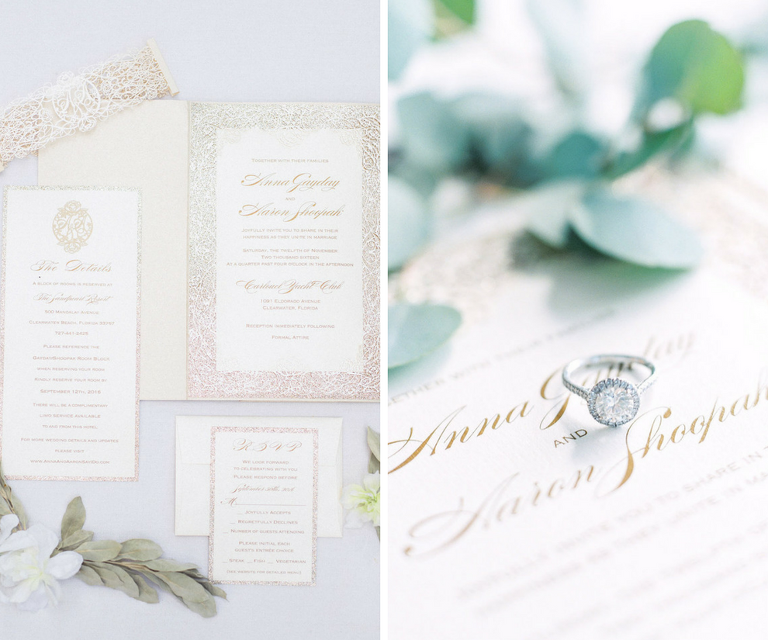 The elegant shades of champagne, peach and mint in Anna and Aaron’s destination Clearwater Beach wedding were the perfect complement to their fairytale celebration at the Carlouel Yacht Club. The private serene beach and subtlety rustic reception space made for a night to remember at this outdoor Clearwater wedding venue. “Our wedding theme was romantic. 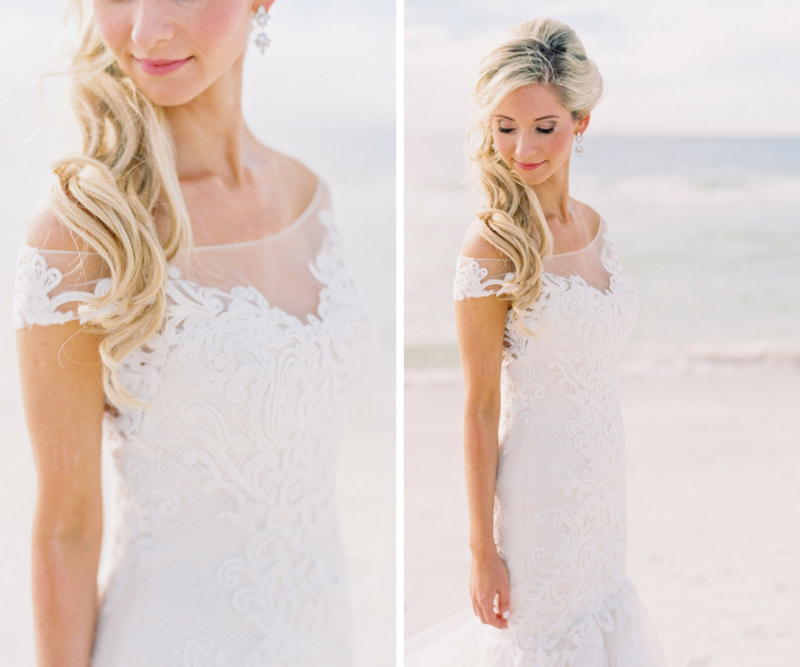 We wanted soft colors and beautiful yet simple details,” the bride shared. 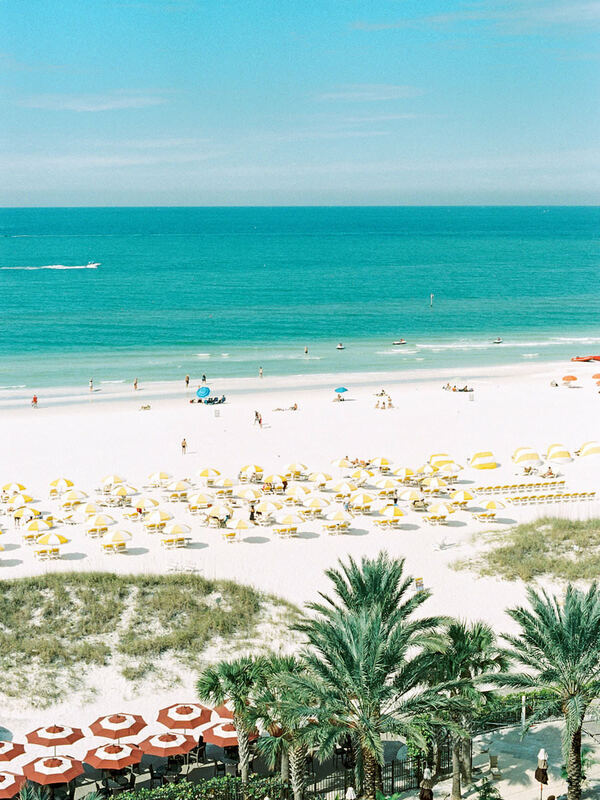 After Anna attended a wedding of a friend coordinated by Clearwater wedding planner Parties a la Carte that went impeccably, she quickly contacted the owner, Jessica, to ensure her wedding would be in excellent hands. Jessica was very familiar with the Carlouel Yacht Club and was excited to plan the wedding of Anna’s dreams. 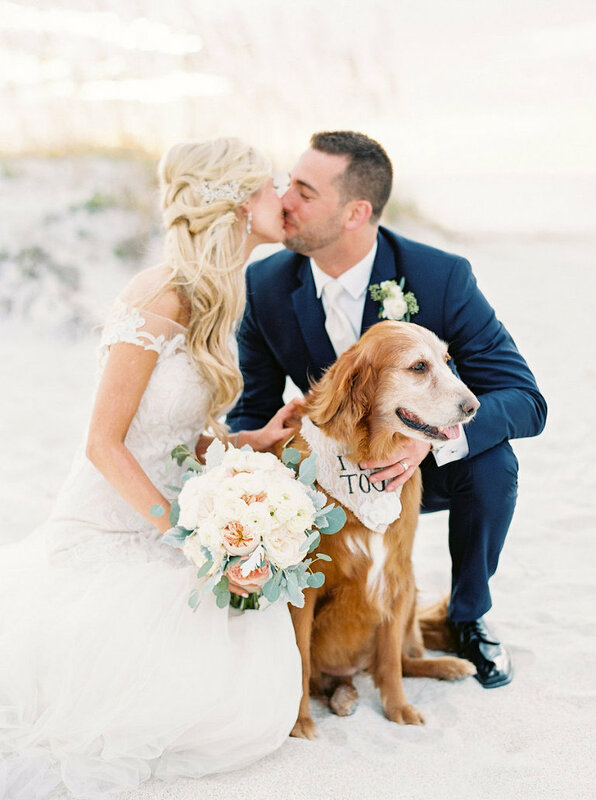 Some important details from the day included incorporating their dog into the bridal party and making sure he had arrangements to be cared for after the festivities. Parties a la Carte ensured everything and everyone was in good hands. The bride and groom focused on enjoying the company of their family, friends and celebrating a lifetime of happiness. Hiring Parties a la Carte made all of that effortless. We wanted someone who knew our venue well and someone who was easy to chat with since we would need to talk often. Jessica was highly recommended by a friend whose wedding was beautiful and flawless, so we knew Parties a la Carte would be the perfect match for us! We started planning from out of state and could not imagine doing it without Parties a la Carte. Jessica and Ashley were great communicators and made it an easy and fun process. 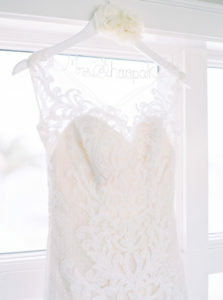 They were so detail oriented and organized that we could just relax and enjoy our wedding day. Parties a la Carte took care of everything and we did not have to worry about a single detail on the day of the wedding!